What makes a building, structure or a location "historic"? For the purpose of our list, we had several questions we asked. Did the location or building have "history" happen there? Was the structure, location or building itself or the owner or resident of the structure, location or building important to St. Louis history? Has it been placed on the National Register of Historic Places and/or recognized as a St. Louis area "landmark"? 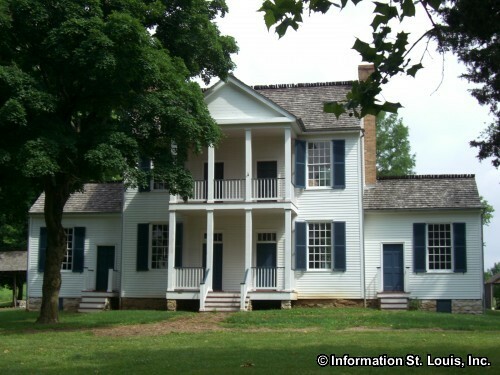 Is it a museum of some time period, person or place that was important in St. Louis history? Take for instance the Lincoln Douglas Square in Alton. It is a historic location because the last of seven debates between Abraham Lincoln and Stephen Douglas actually took place right there when both were campaigning for the same US Senate seat in 1858-history happened there! Forest Park might be historic because of its age, having been established in 1876, but it is also historic place because it is where the 1904 World's Fair took place. Examples of historic buildings or structures which are recognized landmarks include the Eugene Field House, or any of the three water towers, the Bissell Water Tower, the Compton Hill Water Tower or the Grand Water Tower, or the Faust Park Historic Village that is filled with historic buildings. Some historic museums are the Katherine Dunham Museum, the Missouri Civil War Museum, the Holocaust Museum, the Soldiers Memorial Military Museum and of course the Missouri History Museum. Below is a list that we have compiled. Enjoy!